Much has been written about the motives that drove Judas to betray the Lord. Some say His intentions were honorable while others say they weren't, but the Bible is silent on the issue. What it does say is the betrayal came as no surprise. Jesus had already predicted it. Then Jesus replied, "Have I not chosen you, the Twelve? Yet one of you is a devil!" (He meant Judas, the son of Simon Iscariot, who, though one of the Twelve, was later to betray him.) (John 6:70-71). Some of the disciples asked Jesus where He wanted to celebrate the Passover because as soon as the sun set it would be Thursday, the 14th of Nisan. When evening came, Jesus arrived with the Twelve. While they were reclining at the table eating, he said, "I tell you the truth, one of you will betray me-one who is eating with me." They were saddened, and one by one they said to him, "Surely not I?" "It is one of the Twelve," he replied, "one who dips bread into the bowl with me (Mark 14:17-20). John 12:26-30 confirms that it was Judas, who went out to alert the authorities as soon as he had taken the bread. His betrayal was a fulfillment of Psalm 41:9, written by David 1,000 years earlier. Even my close friend, whom I trusted, he who shared my bread, has lifted up his heel against me. During the meal, which was eaten at the same time Moses and the Israelites had eaten the first Passover in Egypt, Jesus introduced the New Covenant. He took bread and said it represented His body, given for us, and the wine in the cup He held represented His blood, shed for the remission of sin. He said whenever we eat of the bread and drink of the cup we proclaim the Lord's death until He comes (1 Cor. 11:23-26). From that day to this, Christians have celebrated communion on a regular basis, each time looking back to the cross, where He died in our place, and forward to the crown, with its promise of eternal life. Paul called it the crown of righteousness, which the Lord will award to all who have longed for His appearing (2 Tim. 4:8). After the meal, they went outside the city heading east toward the Mount of Olives, where the Garden of Gethsemane was located. It was an olive orchard just across the narrow Kidron Valley from the East Gate of the Temple. On the way, Jesus reminded them of His coming death and told them they'd soon be scattered for fear of the authorities, in fulfillment of Zechariah 13:7. But He promised He'd see them again after His resurrection. Peter denied that he'd fall away, even if all the others did. In reply Jesus said "I tell you the truth, this very night, before the rooster crows, you will disown me three times" (Matt. 26:34) It happened just as He said. When they arrived at the Garden, Jesus told them to wait while He went a little further to pray alone. 1,000 years earlier, David had described what it feels like to be crucified (Psalm 22:1-18) and Jesus knew full well the terrible suffering and pain that awaited Him. Three times He asked the Father to not to make Him go through with it if there was any other way to save mankind from their sins. Some theologians call this the unanswered prayer, but the Father's silence was the answer. There was no other way. Without the shedding of blood, there can be no remission of sin (Hebr. 9:22), but the blood of sacrificial animals was not sufficient to the task. It only served to remind the people of their sins (Hebr. 10:3-4). It took the blood of a sinless man to redeem sinful mankind once and for all (Hebr. 10:11-14). Jesus knew His prayer had been heard when an angel from Heaven came to strengthen Him, and He rose to face His accusers. A couple of the most obvious indicators of the Lord's messiahship happened during the course of His arrest. When the Temple guards arrived, Jesus asked who they were looking for, and they replied, "Jesus of Nazareth." Jesus said, "I am He," which caused them all to fall to the ground (John 18:4-6). The word "He" doesn't appear in the original text. It was added by the English translators. Jesus only said "I Am," the name by which God identified Himself to Moses from the burning bush (Exodus 3:13-14). It was a clear demonstration of His power, to single-handedly defeat them, had He chosen to. And as if that wasn't enough, He told Peter He had more than 12 legions of angels at His disposal (Matt. 26-53). That's 72,000 angelic warriors standing by, ready and waiting. At that point, Peter drew a sword and cut off the ear of the High Priest's servant Malchus (John 18:10). Jesus touched the man's ear and healed him (Luke 22:51), telling Peter to put away his sword, saying all who drew the sword would die by the sword (Matt. 26:52). The word servant is misleading. Malchus was most likely one of the High Priest's most trusted assistants, sent with the guards as his representative to make sure the arrest went as planned. There's no indication he was a believer, nor did he ask to be healed. With this miracle, the Lord protected Peter from arrest by reversing the effect of his impulsive act. By the way, Jesus was not arguing against the taking up of arms in the general sense. It was a reminder that Peter was hopelessly outnumbered by professional soldiers. If he insisted on brandishing his sword, he would surely die from the thrusts of their swords. That night Jesus endured numerous trials, all of them illegal. The Jews prided themselves in their mercy and only rarely invoked the death penalty. Formal charges always had to be filed before bringing an accused man to trial. Trials were never held in secret or at night. Conviction required a unanimous decision by the Sanhedrin, and they had a "sleep on it" rule that meant they voted again the next day. It took the confirming testimony of two independent witnesses to establish a man's guilt. None of this was the case in the Lord's conviction. No formal charges were filed. The group of leaders who tried Him purposely excluded anyone who would have been sympathetic toward Him. He was convicted on His testimony alone, and confined to a cell for an early morning execution. The sleep on it rule was ignored. When he learned Jesus had been convicted, Judas, recognizing the terrible mistake he had made, tried to undo it by returning the 30 pieces of silver he'd been paid to betray Jesus. Failing in this, he threw the money into the Temple and fled. Because it was tainted, the priests were unable to return the money to the treasury, so they purchased a field to be used as a burial ground from a man who earned his living as a potter (Matt. 27:6-7). All this had been foretold in remarkable detail 450 years earlier (Zechariah 11:12-13). In his despair Judas took his own life. Because the Jewish leaders lacked the authority to execute a criminal, Jesus had to be found guilty of a capital crime under Roman law. So they took Him to Pontius Pilate and stated their case. But Pilate was not persuaded. He tried to have Jesus released, but the unruly crowd that had gathered around demanded that Jesus be crucified. The Jewish leaders had stirred them up against Jesus and they weren't going to settle for anything less than His execution. When Pilate insisted that Jesus had done nothing deserving of death, they shouted all the louder, "Crucify Him!" Finally he called for water, and symbolically washing his hands, he said, "I am innocent of this man's blood. It is your responsibility" (Matt. 27:24). All the people answered, "Let His blood be on us and on our children!" (Matt. 27:25) And so it has been. Pilate had Jesus flogged and turned Him over for crucifixion. The Roman method of flogging was so brutal that many prisoners didn't survive it. When they were finished with Jesus, He was in deep shock. Their whips had torn the skin and muscle from His back exposing the bones of His rib cage. But the worst was yet to come. It was nine AM when Jesus was nailed to the cross, and for the next six hours, He endured the most painful method of execution ever devised. Crucifixion is essentially a death by suffocation. Because the condemned man was hanging by his arms, he couldn't draw a full breath unless he supported His weight with His feet. But pushing against the nails that were driven through his feet was so painful he could only do it for a few seconds at a time, so his lungs slowly filled up with carbon dioxide until he could no longer breathe. Isaiah 53:4-5 tells us the magnitude of our sins made this brutality necessary to ensure our spiritual and physical healing. At noon darkness came over the whole land. God had turned away, unable to watch, taking His light from the world as He did. 750 years earlier the prophet Amos had warned them this would happen. "In that day," declares the Sovereign Lord, "I will make the Sun go down at noon and darken the Earth in broad daylight" (Amos 8:9). At the last supper Jesus said He wouldn't drink wine again until the Kingdom came (Matt. 26:29), and He had refused a drink of it earlier in the day (Matt. 27:34). But now He was asking for one. Also, the Greek word translated it is finished was a commonly used term that meant paid in full in standard legal and commercial affairs. The debt of sin mankind owed to God had been paid. Taken together these two things indicate that with the Lord's death phase one of the Kingdom, later to be known as the Church, had come. Although it would be several hours before the Lord's body was removed from the cross and placed in a tomb, by 3 PM His Spirit had departed and was in paradise. All four Gospel accounts agree that the Lord's death took place on Preparation Day, as Passover had come to be known (Matt. 27:62, Mark 15:42, Luke 23:54, John 19:31). Christ, our Passover lamb had been sacrificed (1 Cor. 5:7) on Passover. The Jewish leaders asked Pilate for the crucified men to be off their crosses by sunset when it became the 15th of Nisan, beginning the Feast of Unleavened Bread. It was a special Sabbath, on which no work could be done, (Lev. 23:6-7) and they wanted the crosses to be empty by then (John 19:31). Joseph of Arimathea, a wealthy man and a believer in Jesus, asked for and received the Lord's body. He and Nicodemus, another prominent believer, laid it in Joseph's own tomb but were unable to complete the burial process before the sunset brought the Holy Day. For most of Israel in Biblical times, the 15th of Nisan was a day of celebration and rest, commemorating their release from slavery in Egypt. At the beginning of the 14th, they ate a quick ceremonial meal of lamb, unleavened bread, and bitter herbs like their ancestors had done. The rabbis said if they consumed a piece of lamb the size of an olive they had met the requirements for the day. Then they spent the rest of the 14th hurriedly preparing for the coming feast. That's why the 14th became known as Preparation Day. But on the 15th it was a different story because that's when they ate a large, leisurely meal while they recounted the story of the Exodus. It was a national holiday on which no regular work could be done. For the disciples it was a time of mourning. Their teacher, their Messiah, had been executed and it felt like three years of preparation for the coming Kingdom had been for nought. They were also afraid they might hear the sound of soldiers coming for them too, in an effort to completely stamp out the Messianic movement in which they had placed such great hope. Jesus had told them they would weep and mourn while the world around them rejoiced. He said they would grieve, but their grief would turn to joy that no one could take away (John 16:20-22). But for now there was only grief. Unseen to the living, another group was having an even greater celebration than the Jews in Israel. The spirits of Old Testament believers who had died in the hope that a redeemer would come to pay for their sins had finally met Him. Jesus had promised one of the men being crucified with Him they'd be together in paradise that very day (Luke 23:42-43). And, sure enough, there He was, preaching the Good News that their faith had been justified. He would soon be taking them to Heaven (Ephes. 4:8). He wasn't there to be tormented by the devil, as some teach, but to announce His victory, a victory in which those in Paradise would soon share. Remember, just before He died, He had said, "It is finished." The price had been paid in full, the work was done. There would be no more suffering. While He was there, He also proclaimed His victory to the spirits in prison who had rebelled against God in the days before the Great Flood (2 Peter 3:18-20). Some say these are the fallen angels who are being held in chains while awaiting their final judgment (Jude 1:6). Coming on the heels of the previous day's special Sabbath meant that the women were once again prevented from preparing the Lord's body for burial. Had there been a regular work day between the crucifixion and the resurrection they would have prepared the body immediately, as was the custom, and would not have been there to discover that it was missing. The Feast of First Fruits always came on the day after the Sabbath that followed Passover. As the priests were taking a sample of the harvest to the Temple for dedication, the women were preparing to finish the job Joseph and Nicodemus had begun three days earlier. But when they arrived at the tomb they discovered the Lord's body wasn't there. An angel told them He had risen, just as He said He would, the first fruits of the first resurrection. Jesus appeared and spoke briefly with Mary Magdalene outside the tomb that morning, asking her not to hold onto Him because He was going to the Father. The writer of Hebrews tells us He was taking His blood to sprinkle on the altar in Heaven in His capacity as our High Priest (Hebr. 9:11-12). This would open the gates of Heaven to all believers. Mary ran back to tell the others, but by the time Peter and John got there, the Lord was gone. They both inspected the tomb carefully, amazed to find it was empty. That afternoon Jesus came alongside two of his followers on the road to Emmaus, but they were initially kept from recognizing Him. When He asked why they appeared so downcast, they explained all that had happened concerning Jesus of Nazareth and were surprised that He hadn't heard about it. And what's more, they said, it was the third day since all this had taken place (Luke 24:13-21). That comment alone should have forever put to rest the controversy surrounding the actual day of the Lord's crucifixion. Think about it. It was Sunday, the third day since it happened. That means Saturday would have been the second day since it happened, Friday the first day since, making Thursday the day it happened. That evening Jesus appeared to ten of the disciples. (Judas was dead and Thomas was missing.) For the first time, they received the Holy Spirit (John 20:19-22). Then he opened their minds so they could understand the Scriptures. He told them, "This is what is written: The Christ will suffer and rise from the dead on the third day, and repentance and forgiveness of sins will be preached in his name to all nations, beginning at Jerusalem. You are witnesses of these things. I am going to send you what my Father has promised; but stay in the city until you have been clothed with power from on high" (Luke 24:45-49). In these eight days the Lord lived out the essential doctrine of our faith. Paul would later write, "For what I received I passed on to you as of first importance: that Christ died for our sins according to the Scriptures, that he was buried, that he was raised on the third day according to the Scriptures." (1 Cor. 15:3-4) Believing this is what makes us Christians. The empty tomb is proof that our faith is not in vain. How this must have astonished the disciples. Over 500 years earlier the prophet Daniel had revealed that beginning with a decree authorizing the reconstruction of Jerusalem, Israel would be given 490 years during which all necessary preparations for the Messianic Kingdom would be made. They would finish transgression, put an end to sin, atone for wickedness, bring in everlasting righteousness, seal up vision and prophecy, and anoint the most holy (place). The most holy place refers to the Temple. Accomplishing this would require the Messiah to come and die for the sins of the people (Daniel 9:24-26). The disciples knew the 483 year mark had been reached a few days earlier and that the Messiah was among them. He had explained to them that when they got to Jerusalem He would be executed but would come back from the grave three days later (Matt. 16:21, Luke 18:31-33). So there were only seven years left of the 490 years. The Temple had been undergoing a major reconstruction that so far had required 46 years (John 2:20) and wasn't complete yet. But now Jesus was saying everything would be torn down. Not one stone would be left standing on another. How could that be? 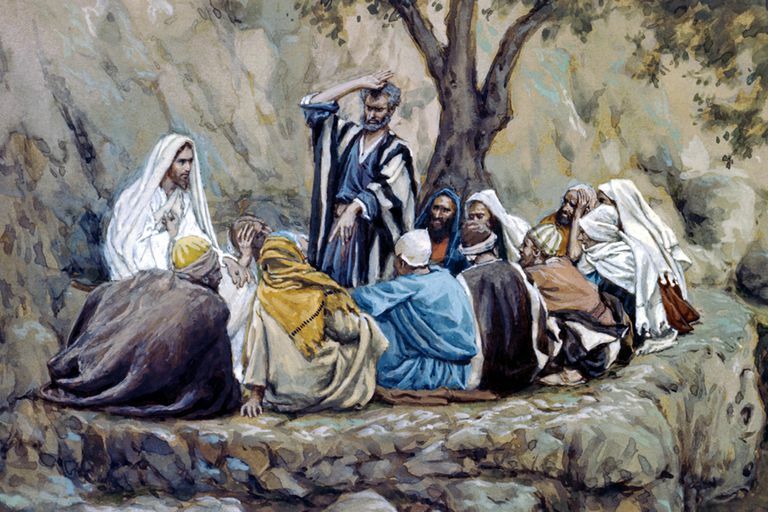 As they began their trek up the Mount of Olives on their way back to Bethany, four of the disciples (Peter, James, John and Andrew) approached Jesus to ask Him about these things. They had three questions for Him. First, they wanted to know when this would happen. They also wanted to know what would be the sign of His coming, and what would be the sign of the end of the age (Matt. 24:3). By their questions, we can tell they'd been discussing this among themselves. Wanting to know when the Temple would be destroyed was an obvious reaction to his earlier statement, but the Lord's Second Coming was still a new idea to them. And if the Temple was going to be torn down how would they know when the end of the age would come? They certainly could no longer count on it happening in 7 years. Matthew's account of the Lord's response does not contain an answer to their first question. But Luke's does, so let's go there first. Jesus told them, "When you see Jerusalem being surrounded by armies you will know its desolation is near. There will be great distress in the land (Israel) and wrath against this people (the Jews). They will fall by the sword and be taken as prisoners to all the nations. Jerusalem will be trampled on by the Gentiles until the times of the Gentiles are fulfilled" (Luke 21:20, 23,24). The disciples were to understand that when they saw the Roman Armies surrounding Jerusalem, it would mean Temple was about to be destroyed. The Jews mounted an unsuccessful revolt against Rome in 66 AD and by 70AD Jerusalem and the Temple lay in ruins. In answering their 2nd and 3rd questions, Jesus began with an overview. In the times ahead there would be false messiahs, wars and rumors of wars, but they would not signal the end. He said nation would rise against nation and kingdom against kingdom. There would be famines and earthquakes in various places. He characterized these as the beginning of birth pangs, meaning they would be indicators that the time of the Second Coming was near. He said the Jewish people would be persecuted and hated by all nations because they would be blamed for His death. There would be false prophets, and an increase of wickedness, but he who stands firm to the end would be saved (Matt. 24:4-13). We know he wasn't talking about the Church here because our salvation is not contingent upon standing firm to the end. Our salvation was assured from the moment we believed (Ephes. 1:13-14). God has set His seal of ownership on us and put His Spirit in our hearts as a deposit, guaranteeing this (2 Cor. 1:21-22). Jesus had post rapture believers in mind here, because they have no such guarantee. As you'll see, there's no mention of the Church anywhere in this discussion because Jesus was speaking as a Jewish prophet explaining to His Jewish disciples about the end times as they concern the Jewish people. Remember, their questions to Him were about the remaining seven years of Daniel's 70 Week prophecy, which is all about Israel. Then He completed His overview by saying the Gospel would be preached in the whole world as a testimony to all nations, and then the end will come (Matt. 24:14). Now before you say, "There's where the Church comes in," let me take you to Rev. 14 to see the fulfillment of this prophecy. Now the Lord gave them the first specific sign in answer to their questions. He said when the people of Judea see the abomination that causes desolation standing in the Holy place they should immediately flee for their lives (Matt. 24:15-16). The term abomination that causes desolation was well known to them even though it had only happened once previously. In one of history's clearest models of the anti-Christ, the Syrian ruler Antiochus Epiphanes placed an image of the Greek god Zeus with his own face on it in the Temple and demanded that the people worship it on pain of death. This rendered the Temple unfit for use and started the three and one half year Maccabean revolt. The annual celebration of their victory over the Syrians is called the Feast of Hanukkah. Every Jew knows the meaning of the abomination of desolation from this celebration. It was a sign they could all could recognize. Jesus told the people of Judea to pray their flight wouldn't be in winter or on a Sabbath when that happens again because that sign would signal the beginning of the Great Tribulation (Matt. 24:21). It's harder to flee one's home in the winter, and it's against the Law for Jews to travel on the Sabbath. It's hard to over estimate the significance of that statement. Even though Jesus had earlier warned the disciples the Temple was soon to be destroyed and the people would be scattered among the nations, He now said there would be a Jewish nation in Israel with a working Temple again as the End of the Age approached. From about 135 AD until 1948 there was no Jewish nation, and since 70AD there hasn't been a Temple there. With 20-20 hindsight we can see that with the rejection of the Messiah, Daniel's 70 week prophecy was suspended 7 years short of it's fulfillment. The Lord's brother James explained to the Early Church leaders that this suspension would remain in force while the Lord took from the Gentiles a people for Himself (the Church) and after that Israel would be restored (Acts 15:13-18). Therefore, the Church Age didn't cancel the remaining seven years, it has just postponed their fulfillment. After the Church has been raptured, Israel's final 7 years will resume and this time all their objectives will be reached. The 3 ½ years of judgment that begins with the abomination that causes desolation will be the worst the world has ever seen or ever will see again (Matt. 24:21) No period of time is more carefully measured in all the Bible. It's variously described as being 3 ½ years, or 42 months or 1260 days long. And then the Lord will return and put an end to it. He said if it was allowed it to run its course not a single human being would survive, but for the sake of His elect He will put an end to it at its appointed time (Matt. 24:22). Immediately after the end of the Great Tribulation the Sun and Moon will go dark, and the stars will fall from the sky. The world will be plunged into darkness. At that time the sign of the Son of Man will appear as the only light in the sky, and all the nations of the Earth will mourn. Then they will see the the Lord coming on the clouds of the sky with power and great glory (Matt. 24:29-30). Jesus said, in effect, the generation of people being born when the first of the end times signs appear will still be alive at the Second Coming (Matt. 24:34). Since He began by saying there will be a nation of Jewish people in the Promised Land in the end times, and since that hadn't been the case until 1948, scholars believe the rebirth of Israel was the event that kicked off the End Times. If so, then many of the people who were born in 1948 will still be alive when He returns. From Matt. 24:29-30 we can tell Jesus was speaking about the day and hour of his return to Earth after the end of the Great Tribulation. And while you have likely seen different interpretations of what follows, it's important for you to understand all of it pertains to the time immediately surrounding the Second Coming. First, He said it would be similar to the days of Noah. Before the flood, unbelievers had no idea what was coming or why. And when Noah tried to warn them about it they just laughed, as if he was crazy. Right up to the day of the flood, they kept going about their lives, clueless to the fact that life as they knew it was about to end forever. It will be like that at the End of the Age as well. This is why Jesus said the nations will mourn when they see Him coming (Matt.24:30). They'll finally realize that what they've been hearing is true and it will be too late for them to do anything in response. He gave three examples of people appearing to be just alike and doing the same things, but one would be received into the Kingdom while the other would be sent away to eternal punishment. Matthew mentioned only two of them, the men in the field and the women grinding with a hand mill (Matt. 24:40-41). Luke added the two people sleeping in the same bed (Luke 17:34). The Lord's point was that what differentiated them was not external and physical, but was internal and spiritual. It's what they believe that makes them different. The key to understanding these examples lies in the words taken and left. The Greek word for taken means to take unto oneself, or receive, and refers to surviving believers who will be received into the Kingdom. The word for left means to send away. These are the unbelievers who will be sent away for judgment. This example speaks of Tribulation survivors who will stand before the Lord upon His return to learn of their destiny. Then He gave a warning that those who survive the Great Tribulation will not know the day or hour of His return so they should be watching for Him like a homeowner watches for a thief he knows is coming (Matt. 24:42-44). Next, the Lord told them four parables, each one an example of how it will be just after the Second Coming. You'll see that throughout this discussion there's been no mention of a rapture or even of the Church itself. Nor will there be. This discussion is about Israel's last seven years. The Church will be gone by then. The first parable is about servants of a master's house who've been given the responsibility of seeing his other servants are fed. Remember, a parable is a fictional story placed in an Earthly context that's designed to convey a Heavenly truth. Every character or event is symbolic of something else. Understanding what they symbolize helps us discover the Heavenly truth. The servants in charge are post rapture ministers of the Gospel, which is symbolized by the food they provide for the other servants, their congregations. Their master is the Lord. None of them know exactly when He will return. but when He does, those who have been faithfully preaching the Gospel of the Kingdom will be rewarded. Those who've misled their flocks and preached a false Gospel will be punished. James warned us that those who teach will be judged more strictly (James 3:1). By their actions, these servants will have shown themselves to be false teachers and will be judged accordingly. Next, He told the parable of the ten virgins or bridesmaids. Once again, He began by identifying the time frame of the parable. By saying at that time He was referring to Matt. 24:36, the day and hour of His 2nd Coming, which follows the end of the Great Tribulation (Matt. 24:29). The story is about ten young women who've been waiting a long time for the bridegroom to come. It's late and all ten have fallen asleep. Suddenly, they hear someone shouting the bridegroom is finally coming. They've all been given lamps and oil to help light the way, but five of them have run out of oil, and the other five can't lend them any. Those without oil hurry to buy more, but while they're on their way the bridegroom arrives and the wedding banquet begins. Arriving late, they ask the bridegroom to let them in but he claims not to know them and they're denied entrance. This is another example of how some tribulation survivors will be received into the Kingdom while others will be excluded. The key ingredient here is oil, which symbolizes the Holy Spirit and identifies the five who have it as faithful believers, while those without it are not. Those who try to find the Church in this parable overlook the fact that the timing is all wrong, and the church is the bride, not a bridesmaid. A bride doesn't need the groom's permission to enter her own wedding banquet. Also, characterizing the five without oil as backslidden Church Age believers violates the one condition of our salvation, which is belief, not behavior. And finally, a Church Age believer cannot lose the Holy Spirit, who is sealed within us as a deposit guaranteeing our inheritance. Once again, the Lord warned those on Earth at the time to keep watch because they won't know the day or hour of his return (Matt 25:13). Using the word again to begin this parable indicates the Lord is still speaking of the time just after His Second Coming-and that means the servants are Tribulation survivors. It's the story of three servants who were given allotments of money, five talents, two talents, and one talent respectively, by a master who was going away for a time. When He returned he called them in for an accounting. The servants who were given five and two talents had both doubled their master's money and were commended. The servant given one talent had buried it in the ground and returned it to him untouched. This servant was rebuked. The talent was taken from him and he was thrown into the outer darkness. Remember, in a parable everything is symbolic. The key to understanding this one lies in discovering what a talent of money symbolizes. Five talents was a lot of money, so the talents must represent something very valuable to the Lord, but there's no indication in the Bible that money is valuable to Him. Seeing them as abilities we have is also a mistake because we don't have anything He needs. Even the most "talented" among us can not contribute anything to His accomplishments. Out of love He sometimes lets us help, but He doesn't need our help. Job 35:6-8 tells us our sins don't hurt Him and our righteousness doesn't help Him. They only affect us. However, according to Psalm 138:2 He values His name and His word above all things. God must fulfill the promises He has made. We call these promises prophecy. He's given His word that He will do all He says (Isaiah 46:11) because His name is at stake (Ezekiel 36:22-23). Study His word and, your faith will multiply as you read of prophecy after prophecy being fulfilled. But ignore it, and you'll lose even the little bit with which you began. In the Church Age we're protected against total loss (1 Cor. 3:15), but it won't be so afterward. If they don't use, they'll lose it. And they'll lose their place in the Kingdom as well. The Lord's final example leaves no doubt as to its timing. "When the Son of Man comes in his glory, and all the angels with Him, He will sit on his throne in heavenly glory." (Matt. 25:31) It's the time just after the Second Coming when He will bring all the world's tribulation survivors to stand before Him in judgment. He'll separate them based on how they treated His brothers during the Great Tribulation. Believers, called sheep, will be placed on His right and welcomed into the Millennial Kingdom where they'll help repopulate the Earth. Unbelievers, called goats, will be placed on His left and then thrown into the eternal fire prepared for the devil and his angels. This appears to be a judgment based on works, but as with everything else, the Lord looks at the motive behind our actions. Only a true believer would be willing to take the risks necessary to help protect the Jewish people against the anti-Christ's determined effort to wipe them out to the last one. If he can do this before they petition the Lord's return he will have won, so his extermination efforts will be even more relentless than Hitler's. Anyone caught trying to thwart his effort will share the fate of the Jews. Those who help the Jews will be doing so at their own peril. But it will be as if they are helping the Lord Himself out of gratitude for all He's done for them. Their faith will be rewarded. After Jesus had told them all these things, they joined the rest of the disciples and continued on their short walk to Bethany, where they were staying. More next time. God looked down on Earth and saw that the imaginations and thoughts of mankind were only evil continually (Genesis 6:5) and Called on a man named Noah to build an ark. 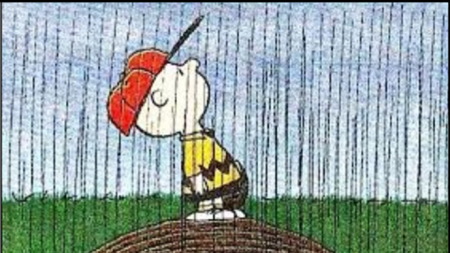 There had never been raindrops before then, and it took Noah something like 120 years to complete the ark, a large boat. The earth had been watered by the mist from the ground. Who ever heard of such a thing-raindrops? Peter wrote of that time when God's patience and longsuffering waited until Noah had finished the ark, when the condition of mankind He had seen could be judged. That was a long time, for people in those days lived more than 900 years. But God was also making a way for the salvation of the righteous in that time. Some people today are saying it has been a long time since the promise of Jesus coming to take out of this world those who belong to Him. "Where is the promise of His coming," so they say, just as Peter proclaimed in 2 Peter 3:3-4. In somewhat the same way of delay, Jesus has held back His coming until a future "appointed time" in the hands of His Father, that He might "take out of the Gentiles a people for His name" (Acts 15:14-17). When the fullness of that number is completed, the "ark of His salvation" will be ready for boarding-in the twinkling of an eye. Drip, drip, drip-in the last days perilous times will come (2 Timothy 3:1). Drip, drip, drip-evil men will become worse and worse (2 Timothy 3:13). Drip, drip, drip-the masses are calling good evil and evil good (Isaiah 5:20). Drip, drip, drip-evil and injustice seek to rule the people (Job 34:17). It was a sure thing. Late in the fourth quarter, Obama would make a "Hail, Mary" pass to Hillary Clinton, and she would continue the plan for complete destruction of American sovereignty. He gave it away in April and August, 2016. First, he could not contain his excitement over his accomplishments during his eight years, saying, "The end of the Republic has never looked better!" at the annual Correspondent's Dinner in Washington, D.C. on April 30. Then, in August, it has been revealed, he knew the Russians were tinkering with the USA electoral process, but he did not let that information out since it was a sure thing that Hillary would win the election and take his program forward. Both of them are disciples of Saul Alinsky's "Rules for Radicals." But did God intercept that pass in the hands of one Donald Trump? Frankly, I was caught by surprise as the election campaign unwound and Trump won the Electoral College votes. Obama had been "primed to lead us into a New World Order," according to Henry Kissinger, after the sweep for Obama in 2008. Obama had campaigned on the promise to "fundamentally transform America forever," and it looked like he was succeeding with little quiet allowance from anyone who could have taken a hand in any strong opposition. Obama thought so, too, as well as many prominent public leaders, having a "one-world-government" frame of mind. No wonder candidate Trump's promise to "drain the swamp" sent spurts of fear racing up the backbones of many who have hidden in that swamp for years. "And as it was in the days of Noah, so it will be also in the days of the Son of Man: They ate, they drank, they married wives, they were given in marriage, until the day that Noah entered the ark, and the flood came and destroyed them all. Likewise as it was also in the days of Lot - They ate, they drank, they bought, they sold, they planted, they built; but on the day that Lot went out of Sodom it rained fire and brimstone from heaven and destroyed them all. Even so will it be in the day when the Son of Man is revealed. "In that day, he who is on the housetop, and his goods are in the house, let him not come down to take them away. And likewise the one who is in the field, let him not turn back. Remember Lot's wife. Whoever seeks to save his life will lose it, and whoever loses his life will preserve it. I tell you, in that night there will be two men in one bed: the one will be taken and the other will be left. Two women will be grinding together: the one will be taken and the other left. Two men will be in the field: the one will be taken and the other left." "For you yourselves know perfectly that the day of the Lord so comes as a thief in the night. For when they say, 'Peace and safety!' then sudden destruction comes upon them, as labor pains upon a pregnant woman. And they shall not escape" (1 Thessalonians 5:2-3). "But you, brethren, are not in darkness, so that this Day should overtake you as a thief." The descriptions in the Luke 17 passage are portrayals of heightened economic and social activities that could only happen in a growing economy. It will definitely not be the picture of life during the last half of the seven years of the tribulation. Read again Revelation 13-19. The physical condition of the land and the seas and the freedom of mankind to "build and plant," while enjoying "eating and drinking and marrying and giving in marriage," makes a "post-tribulation rapture" position very illogical. The pivotal clue is in that passage above, "when they shall say, 'Peace and safety,' then sudden destruction shall come upon them...."
Watch for it; for when the nations confirm a covenant with Israel, as Daniel 9:27 says, that exclamation will come forth from Israel, which has longed for peace for many years. This one will only last three and one-half years, however, and that with much tribulation. "Some men's sins are clearly evident, preceding them to judgment, but those of some men follow later." Drip, drip, drip-and God's appointed time approaches.